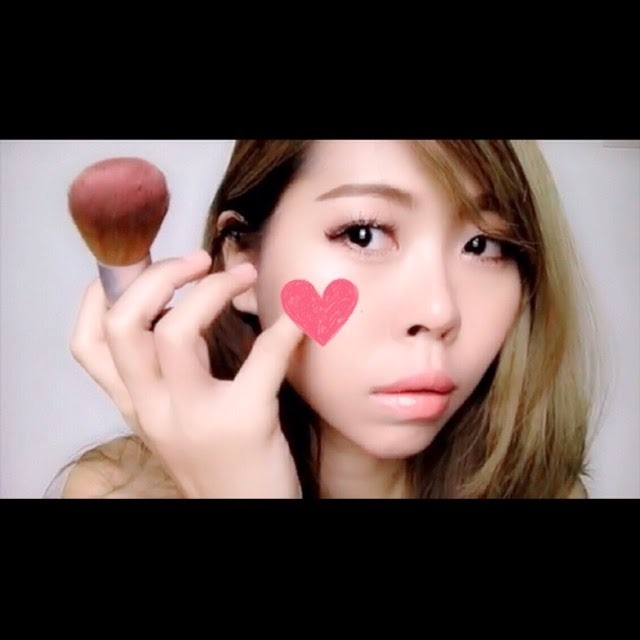 Apparently for this Spring / Summer in Japan, I see a lot of “Heart Shape Cheek” technique being featured in various magazine. But wait, that’s not the only “heart” thing I’m going to talk about today. ….. There’s a heart shape brush too!!!! And the main idea of this post was actually suppose to be about the essential brushes you need when traveling… in daily life.